Today was Day #4 of Chocolate and Orange Theme Week. A well-made chocolate ice cream is an underrated pleasure. 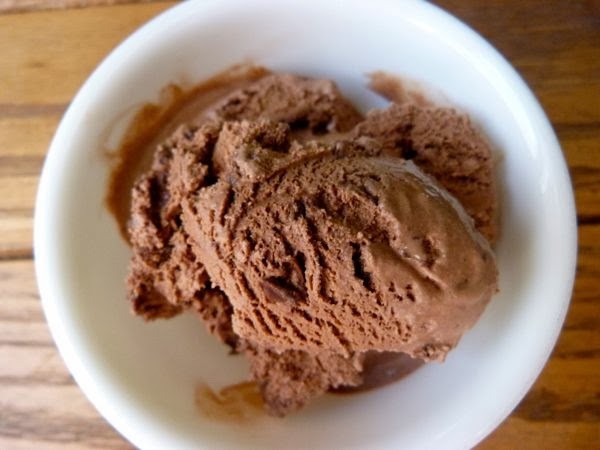 A well-made chocolate ice cream with high-quality flavor additions is a gift. 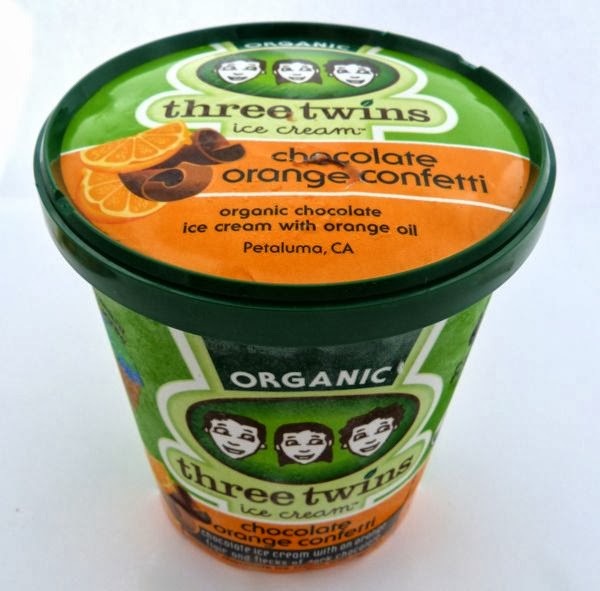 Today's organic chocolate ice cream with orange oil and flecks of dark chocolate from Three Twins (Petaluma, CA) was very good -- creamy, natural tasting, and well-balanced with orange undertones and rich chocolate flavor. The chocolate flecks added some texture and taste. 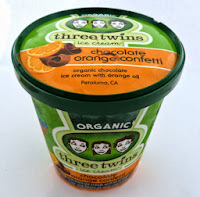 Warning, if you like ice cream, you may be tempted to have seconds helpings of Three Twins flavors. This one was no exception. I'll likely try pairing this flavor with the company's "Dad's Cardamom" or "Madagascar Vanilla" ice cream in the near future.